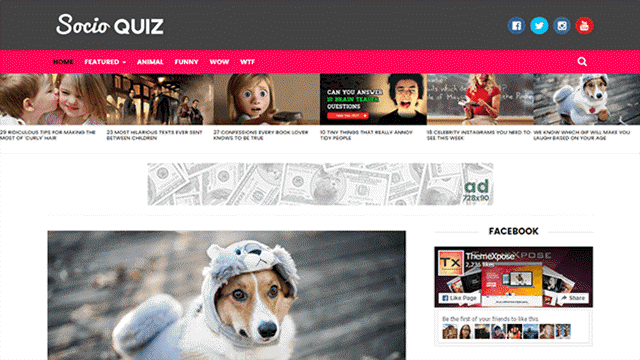 Description: Socio - Viral & Buzz Responsive Blogger Templates is a viral magazine theme, that lets you launch a fully functional buzz-like site in no more than 24 hours. Make your content goes viral on social media with this specially designed. This template is very flexible, easy for customizing and well documented, approaches for Viral News Blog and professional use.